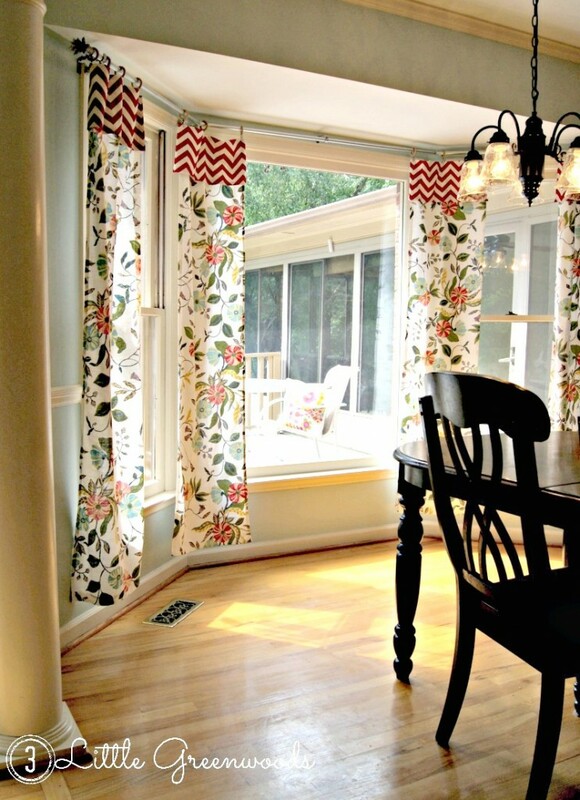 No Sew Kitchen Curtains from tablecloths was the easy solution to add pattern and color to our large bay window! New here? Welcome! Be sure to check out some of my most popular posts. Please click through the link and images to get the complete tutorials. There is a large bay kitchen in our kitchen floods the room with light. It provides a wonderful view of the backyard and all my little people as they dig holes to China. 😉 It is also the perfect place to add another layer of pattern and color to our kitchen update. Before I begin this tutorial for No Sew Kitchen Curtains I’ve got to let everyone know that I am not a sewer. Or a very good measurer for that matter. But I can steam a mean fusible tape hem like nobody’s business. 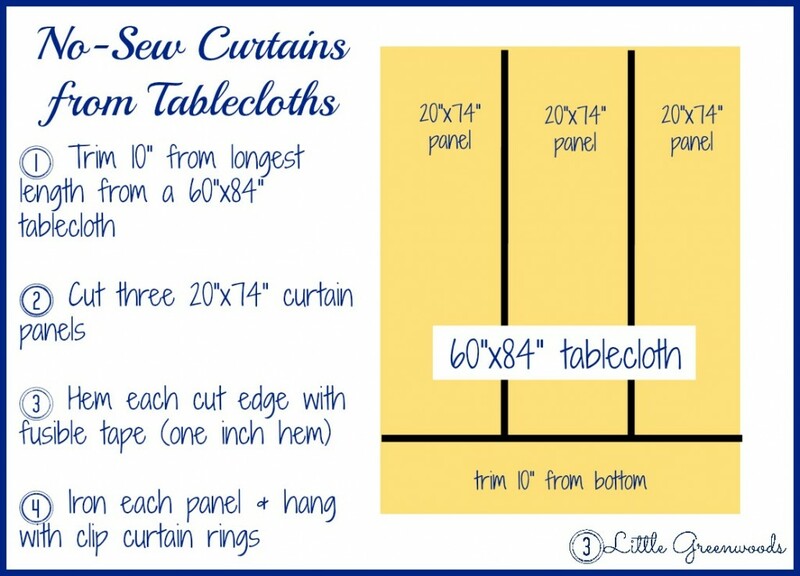 So keep an open mind as you read through this post and hopefully you will be inspired to make curtains for your home! As usual, Target was the inspiration for the whole project. 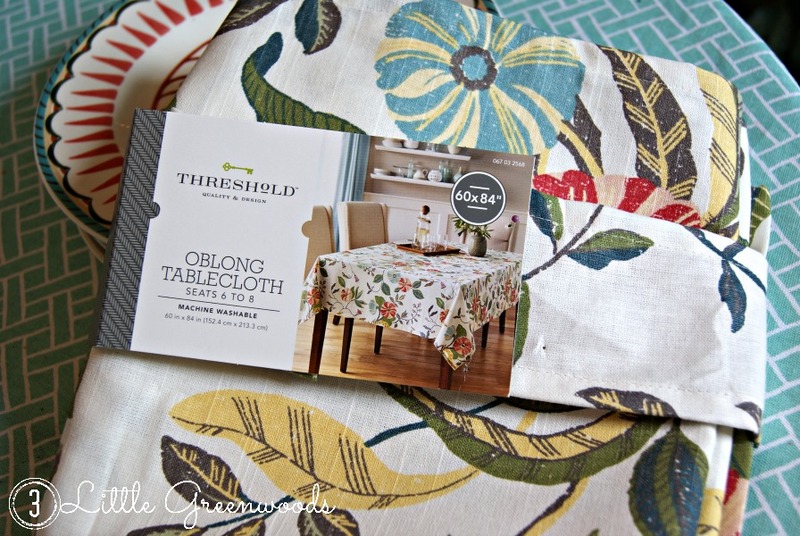 This Threshold tablecloth has a lovely floral and leaves pattern that ties in all the colors of the kitchen. Plus there’s a touch of red which is my favorite color. Curtains gracefully puddling on the floor didn’t sound like a grand idea for my all the time sometimes messy kitchen. I wanted the curtain panels to fall below the bottom on the windows but not near the floor so I began the process by trimming 10″ off the longest side leaving me with a 60″ x 74″ rectangle. Next the large 60″x74″ rectangle was cut into three 20″x74″ panels. Each cut edge was hemmed with fusible tape. I tried to make the hem width the same as the original tablecloths hem so it was about one inch wide. 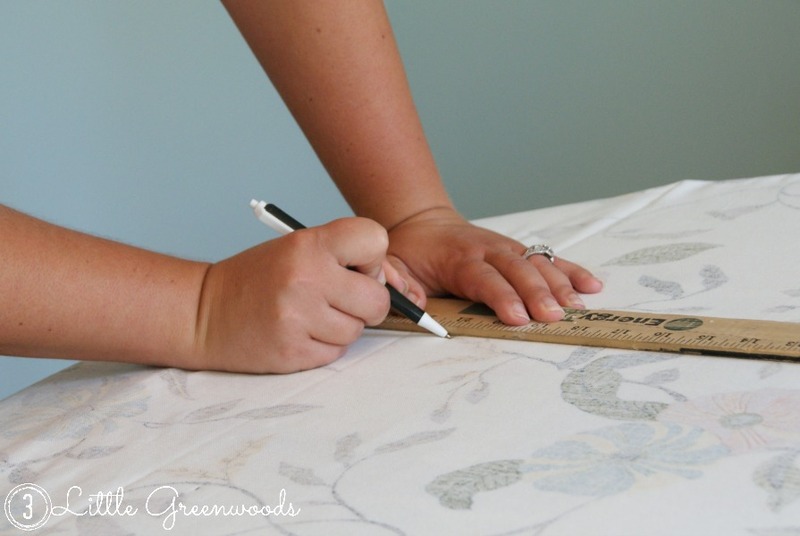 The final and fourth 60″x74″ panel was cut from the second table cloth. Don’t worry about the leftovers, I’ve got great plans for that! Since red is my favorite color I couldn’t resist adding a 12″x20″ rectangle of chevron to the top the No Sew Curtains Kitchen Curtains. The two pieces are not joined together but simply held in place by a clip curtain ring. 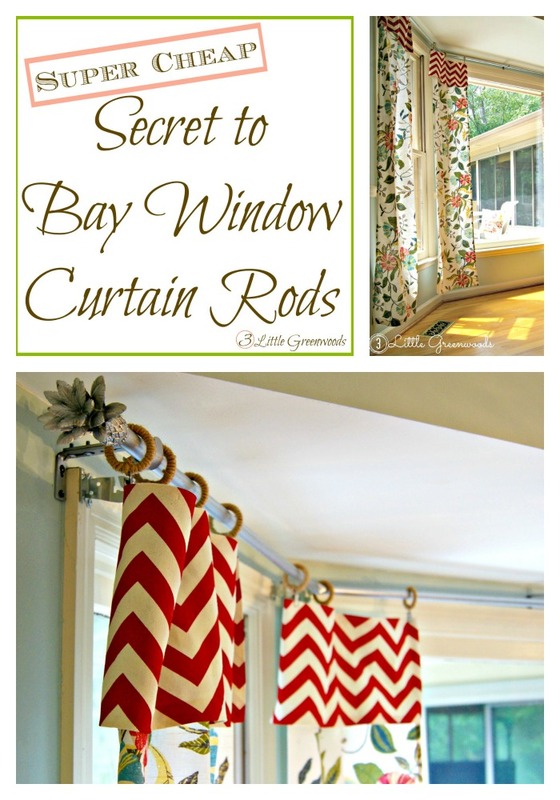 If you love these no-sew curtains then you need to learn the Secret to Super CHEAP Bay Window Curtain Rods! You’ll never believe what used to make them! 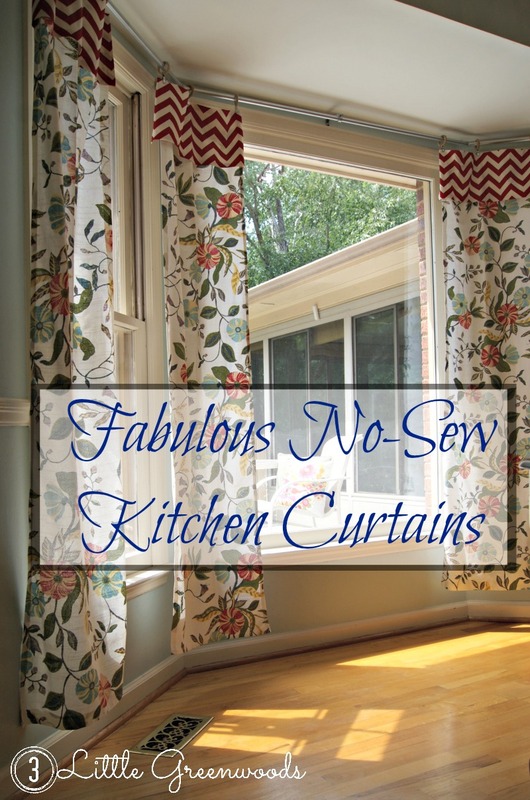 These No Sew Curtains Kitchen Curtains are just a small piece to our Kitchen Update. Click on the images below to see how I pulled it all together. 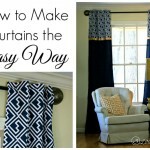 How to Make Curtains ~ The Easy Way! 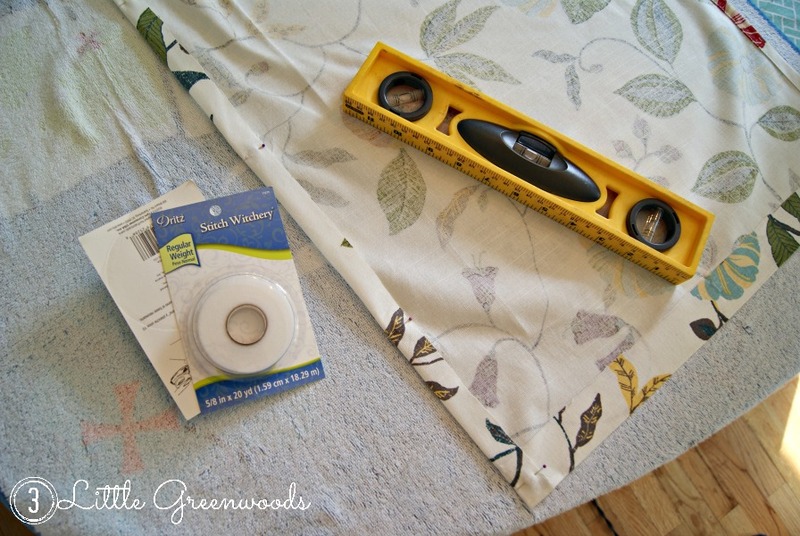 I did save a ton of money “sewing” my own kitchen curtains! 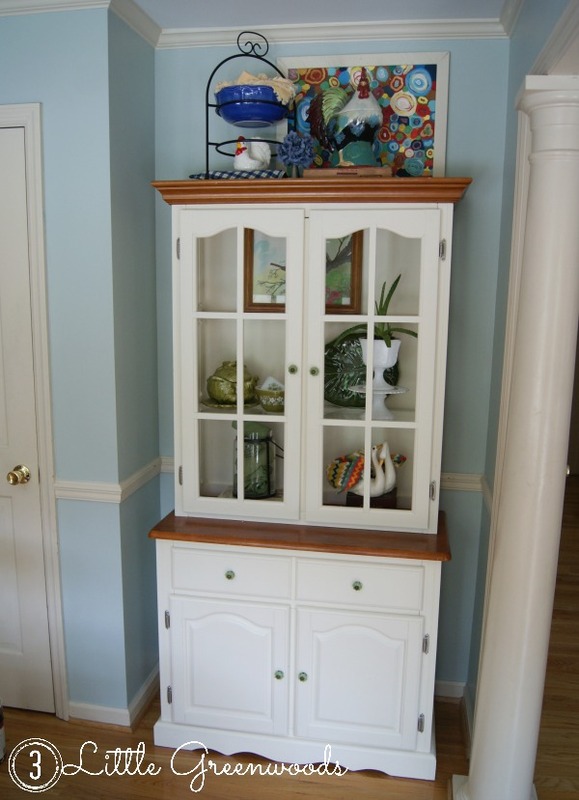 So happy you love my hutch too. It took me forever to find that piece! Your curtains turned out beautiful. I love this easy tutorial. 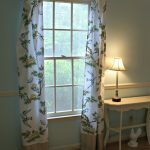 I need to replace curtains in several rooms in my house. I’m off to shop for tablecloths! Oh that makes me so happy that you like the tutorial! Doing things is easy, explaining them to others is the hard part. Thanks, Deonna! The red chevron makes me happy. I LOVE these so much! The chevron with the floral! 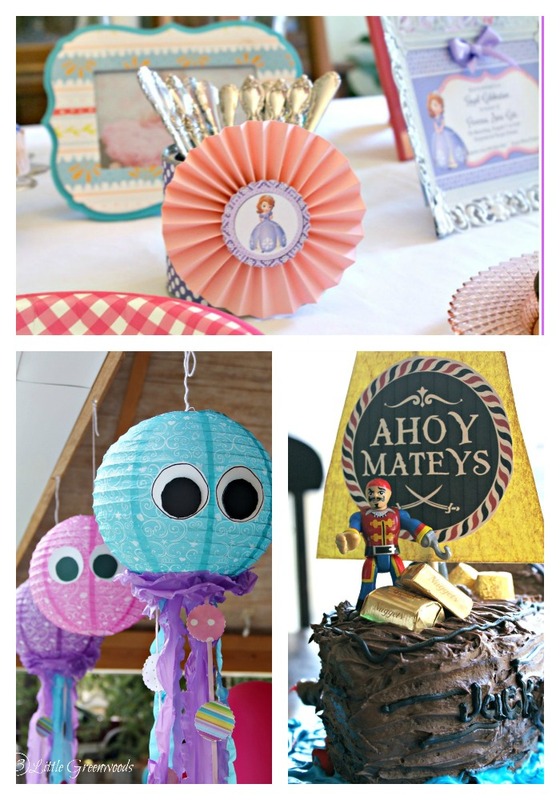 And you made them with a tablecloth…that is a gal after my heart! LOVE IT! Heather, you are the best with your awesome encouragement! Love you bunches! They look lovely! 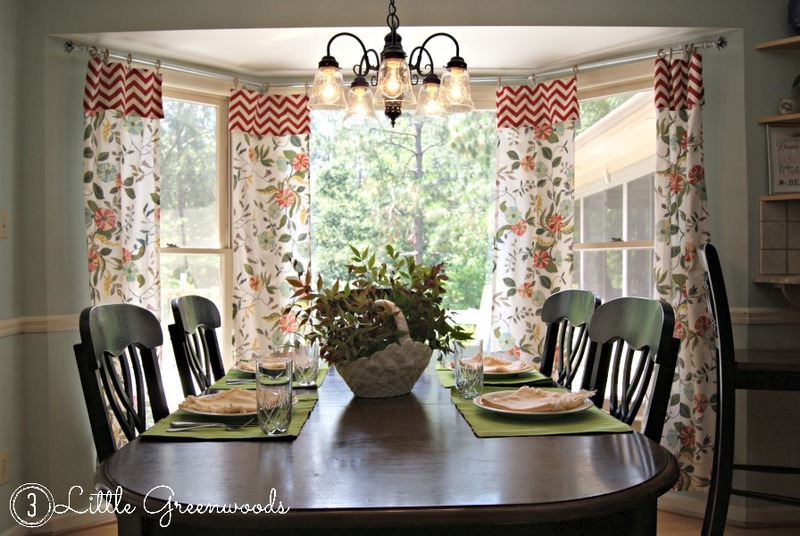 I, too, am NOT a sew-er – I love using tablecloths as curtains panels! They make a colorful addition to your kitchen! So good to find another non-sewer! Thanks for the bloggy love! I need new curtains in our kitchen. I can’t sew to save my life, but this inspired me to think outside of the box and try some of that iron stitch stuff. Hmmmmmm, now you have me thinking. Sewing machines scare me! Stitch Witchery is the way to go! Tablecloths are the way to go! Lots of colorful fabric for not a lot of money. That’s so funny that you love the kitchen table! My children have done their best to destroy the top of it with markers, paint, and butter knives. Thanks so much for the bloggy love! Red is my favorite color, too and I love your no-sew curtains. I received a sewing machine last Christmas and I’ve yet to learn how to thread the bobbin! Gorgeous. What a great idea. Aw, thanks so much for the sweet comment! I love how the kitchen curtains add pattern to the room. What a perfect print for your kitchen Ashley. The pretty pattern enhances the beautiful view out your window. The whole room is lovely! Thank so much, Val. I love the print too! SO pretty Ashley! Your kitchen is really coming together into a cohesive room. Love the colors you’ve chosen! Awesome job! I love how these turned out. I have a very similar window in my kitchen and should definitely do something similar. Where did you get the curtain rod you used? 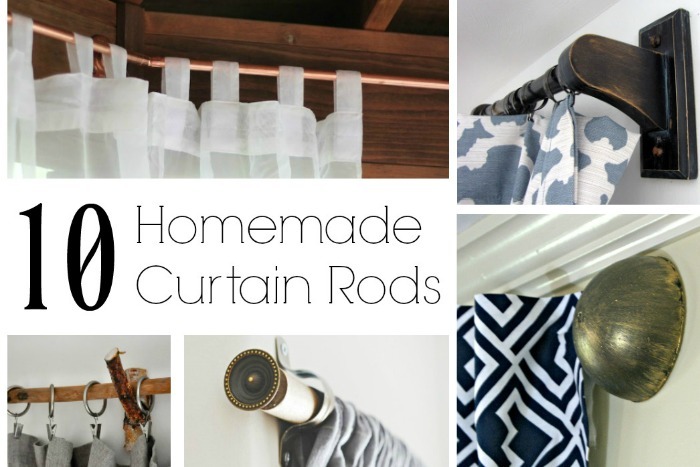 I MADE the curtain rod! 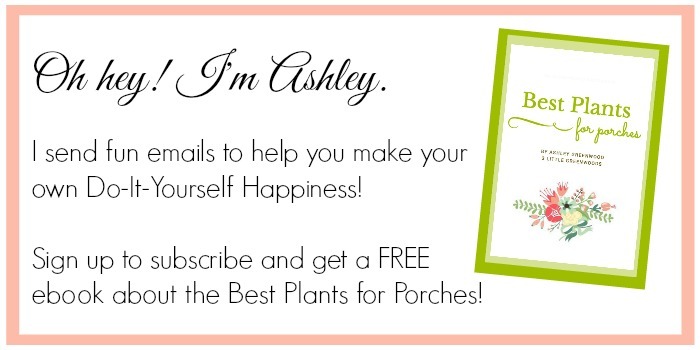 It was awesomely easy and I’ll be sharing how to on the blog very soon! Oh! A bed runner made from curtains! Now that’s a fantastic and inexpensive way to add some pattern. 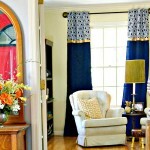 What a beautiful curtains, love them, and the blue chandelier amazing!! I absolutely love your curtain panels. So smart and so thrifty. love to find table cloths on sale to use for whatever I need them to be. Glad you found what you wanted at Target. Haven’t looked there for sale tablecloths but sure will now if I can find anything as pretty as what you found. 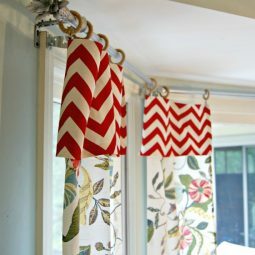 The red/white chevron valances really set off panels perfectly, thank heavens for those curtain clips huh? Love them. As I type I’m looking at curtain panels I made when we bought our home (8 yrs. ago) for our mudroom window. We have blinds and a shade on it also as in summer the heat pours in that window (facing due west) so both blinds and shade are closed and even curtain panels to keep it cooler in this room. Love making curtains with table cloths as there is less hemming. I have sewing machine but when it’s on vacation I use the stitch witchery stuff myself. I used two tablecloths as I wanted panels to be full.They’re white back ground with stripes of red/blue/yellow. Just had to make rod pockets. Get tired of them once in while but always go back to them after time. Think they might need a bath. Thanks so much for the sweet bloggy love! So happy you love my kitchen curtains. Thanks so much, Cathy! The red chevron makes me so happy! LOVE Be.You.Tiful! Thanks for hosting! I’m so excited you love the kitchen curtains. The red chevron makes me smile every time and stitch witchery is my favorite! These are great! I love that you mixed chevron with the floral, they look fantastic together! And I REALLY love that they’re no sew and made out of a table cloth!! Hi. I love the curtains. Great job and great fabric colors. Can you please tell me where you got the rods? I need some like these in a bedroom. Thanks so much for the sweet comments about my kitchen curtains. 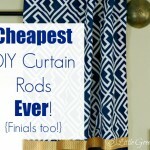 I’ll be sharing the DIY kitchen curtain rod soon! These are gorgeous! I love the bright colors and patterns of them. 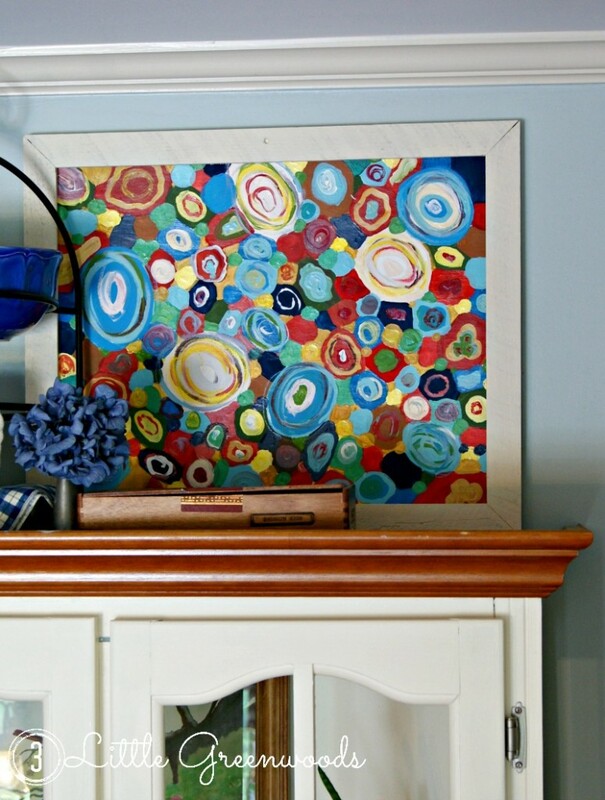 Thank you for linking up at Friday Favorites! Thanks, Emily! I love the two patterns together. Wahoo! Thanks so much for the feature, Sweet Friend! This is genius! I never would have thought to use tablecloths for curtains! It opens up a whole slew of possibilities. I absolutely love, love these curtains! 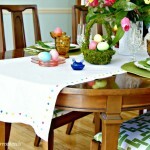 I have a shabby chic tablecloth that I bought from Target & am going to try to duplicate these. What a great idea! YAY! So excited you like my kitchen curtains. Thanks for the fun party! 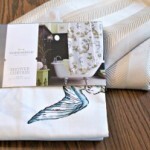 Your curtain panels are gorgeous! 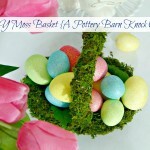 I would love to make these for my kitchen! Thanks for the tutorial. I am pinning this! Wahoo! Thanks so much for the pin love!